Last year, I was introduced to the lovely Celebrity You Natural brand and I really enjoyed the hair care products I was kindly gifted. 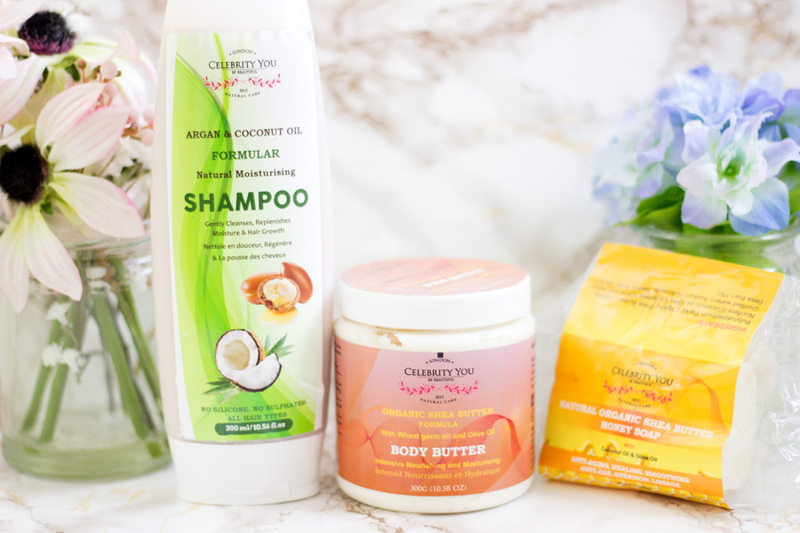 If you want to find out more about those products, head on over to this post where I wrote about the brand and reviewed the first set of products. You can imagine my sheer delight when the founder of Celebrity You Natural told me she had launched a body and skincare range and wanted to send me some. Of course, I said Yes because who can resist organic Shea Butter and Argan Oil? Certainly not me. I have been using them for a little over a month now so I thought I should share my thoughts on them. I was very kindly sent three products which include the Argan & Coconut Oil Natural Moisturising Shampoo*, the Organic Shea Butter Body Butter *and the Organic Shea Butter Honey Soap*. My shampoo and conditioner collection is super huge I kid you not!! 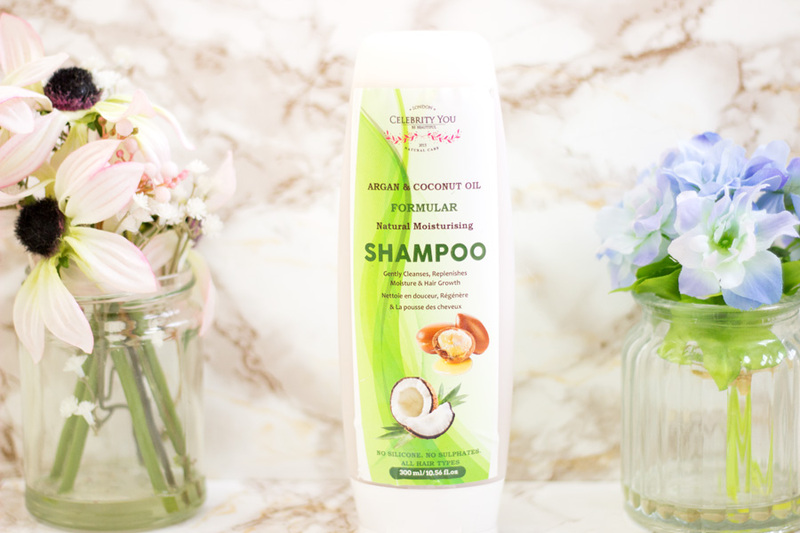 However, I only have very few shampoos that are natural/organic so I was very delighted to welcome this Argan & Coconut Oil Shampoo to my collection. I use this mainly on my Afro and my hair absolutely loves it. Celebrity You Natural describe it as a natural moisturising shampoo formulated with a unique blend of ingredients that aim to help restore the hair's natural lustre. It contains Argan Oil for softness and shine and Coconut Oil which promotes scalp health and protection against hair problems. I love these two oils as they have a lot of hair benefits so I was keen to try this out. It does not contain silicones, sulfate or parabens which is always a good thing to know. The first thing I noticed was a soft fragrance which I like because it means my hair will smell fresh when I am done washing. It has quite a runny texture so it's important to watch out for it so you don't waste the product. It lathers quite well considering that it is Sulfate-free but you do need a little bit more than regular shampoos. My hair felt really clean but not stripped or limp. I did have to use another conditioner but I am sure a conditioner will be developed at some point. If you are into co-washing (washing with a conditioner) but you want something to keep your hair quite clean, I'd recommend trying out this Argan & Coconut Oil shampoo. 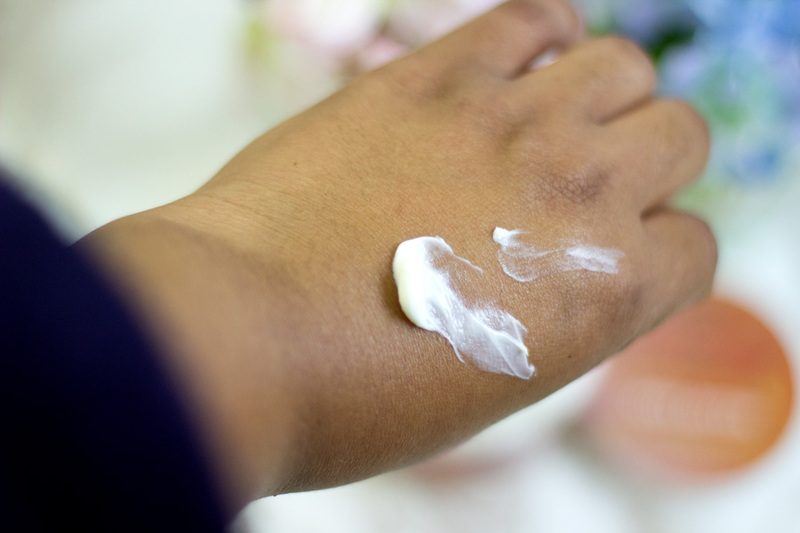 I love Shea Butter but I sometimes avoid it because I am not a fan of its natural scent and how heavy it could sit on my skin. 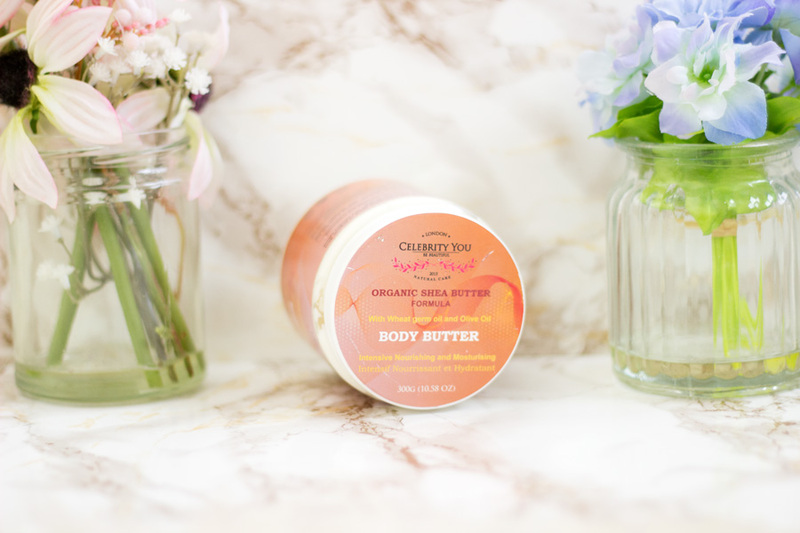 However, I was in for a pleasant surprise when I tried out the Organic Shea Butter Body Butter from Celebrity You Naturals. 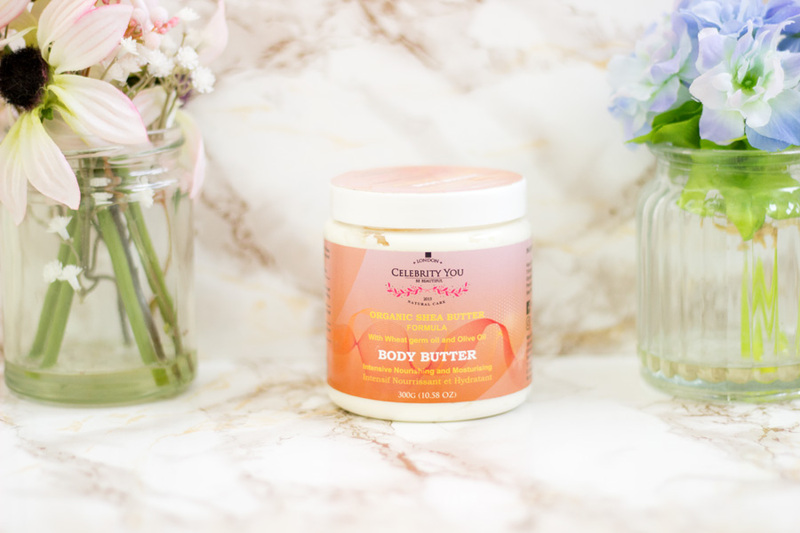 If you follow me on Instagram you'd have seen me talk about this Body Butter and it's because I am obsessed with it. Celebrity You Natural describe it as an intensive moisturiser designed to nourish and moisturise the skin. It contains three key natural ingredients among others including Organic Shea Butter (deeply moisturising with healing properties), Wheat Germ Oil (naturally high in Vitamin A,B, D and E which are all antioxidants and anti-aging) and Olive Oil (which helps rejuvenate and regenerate the skin). 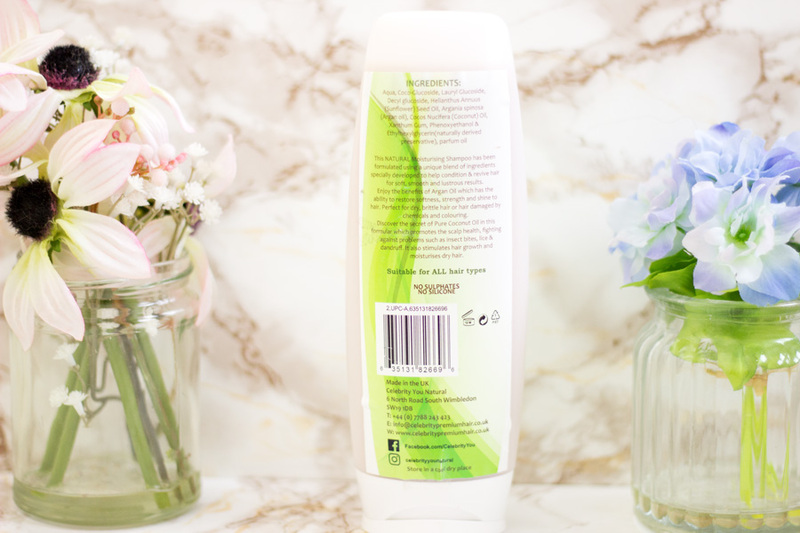 It is vegan-friendly and does not contain parabens, sulphates and mineral oils. As the name suggests, it is made from organic Shea Butter, however it smells incredible and it has the lightest texture ever. It feels just like whipped cream and melts instantly on the skin while providing moisture, hydration and maintaining the skin's natural lustre. I use this almost everyday and I will be repurchasing it when I run out because I absolutely love it. If you have dry skin or combination oily skin suffering during this cold weather, I'd very highly recommend giving this a try. My back was having some dry patches and getting super itchy especially at night. I have been using this consistently and all the itchiness is now history. I cannot praise this gorgeous tub of goodness enough!! 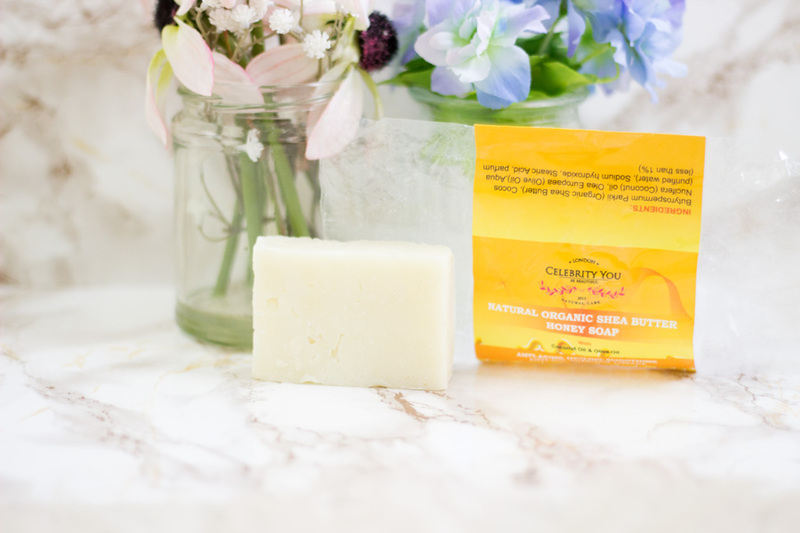 Last but not the least is the Organic Shea Butter Honey Soap. I do like the idea of this soap but I am not really a big fan of bar soaps. I think the only bar soap I use regularly is the Dudu Osun (African Bar Soap) which grew on me because it is very effective. 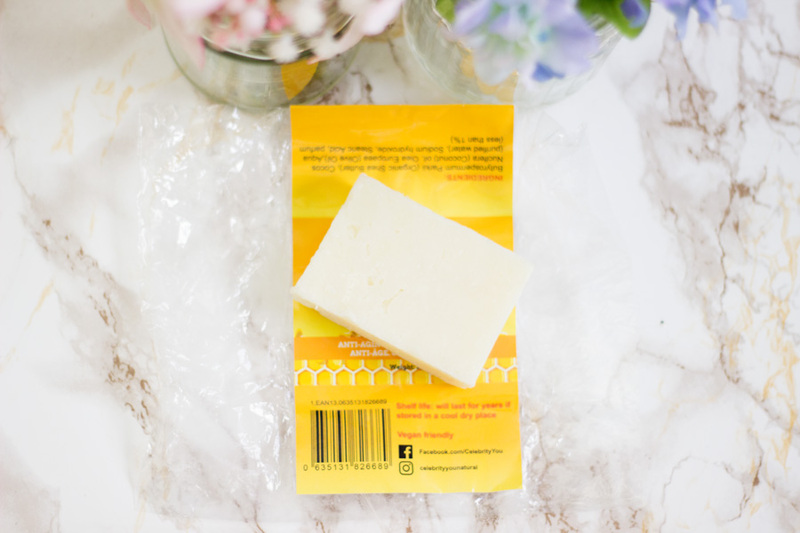 Celebrity You Natural describe this as an indulgent bar which provides a relaxing scent of Honey and Shea butter and designed to moisturise and soothe skin irritations. Armed with this description, I was determined to see if this bar would make me change my mind about bar soaps. The first thing I noticed was the fragrance/scent which I am not a fan of. I am not sure the honey aspect comes through sufficiently so it does have a proper soap scent. I know many people would not mind this at all. I did still use it for a good while and I noticed it does help with irritated skin. I used this soap regularly for my showers and I do have to say it is quite effective at keeping my body clean but I struggled with the scent. It still has not grown on me but I am hoping it does for the sheer fact that it does what it promises. I wish another hybrid will be developed with a more pleasant fragrance. If you are not bothered with scents/fragrance and you are looking for a good bar of soap, I'd recommend giving this a try. As far as I know, the Celebrity You Natural products can be purchased directly online from their website. I do like how easy their website is to navigate which is always a plus when online shopping. Celebrity You Natural is a subsidiary of Celebrity You Premium Hair which is their main site where you can purchase anything hair, extensions, etc. They also go for a good number of exhibitions where you can see the products in real life and get advice from Elizabeth (the founder) who is so pleasant. The best way to find out where any information and discount codes is to follow them on their Instagram Page: CelebrityYou Natural and CelebrityYou Premium Hair. 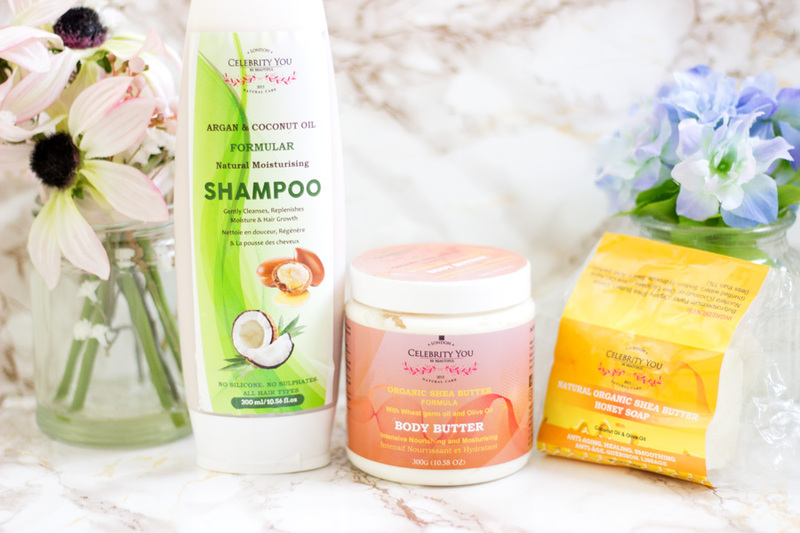 I am so pleased I got a chance to try out these new products from Celebrity You Natural. 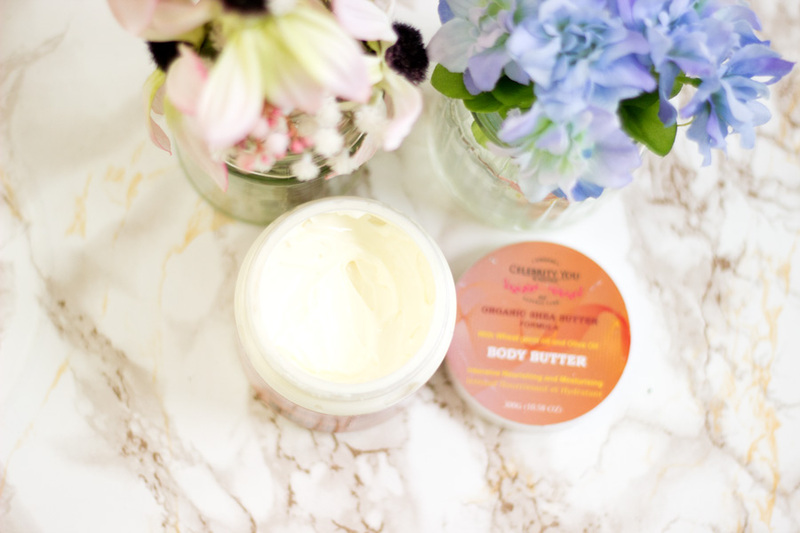 If I were to choose only one product, it will definitely be the Organic Shea Butter Body Butter. For the price and quality, it is easily giving many other high end brands a run for their money in my opinion. That's it from me today. 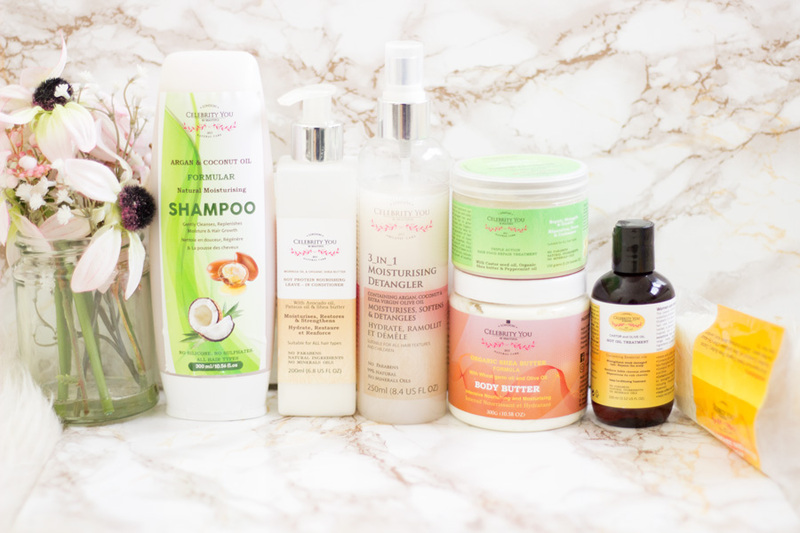 Have you tried any of products from the Celebrity You Natural range? 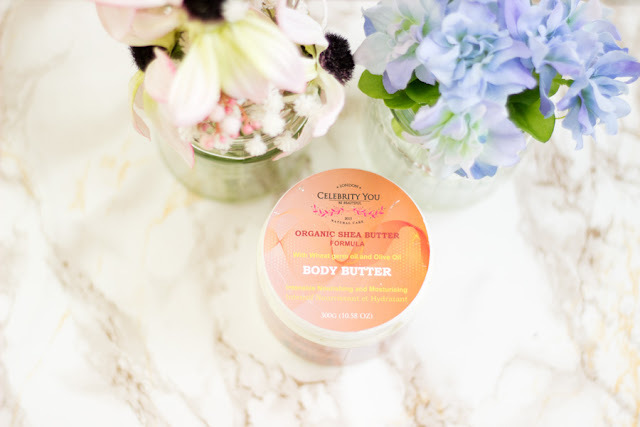 I love the sound of the body butter. I need to use body skincare products more.